I’ve been asked a lot about how to get good drum sounds, and in particular, how to EQ drums properly to sit in a mix. While there are few hard and fast rules, the video (below) shows how I locate and notch out problematic frequencies in a snare drum that hasn’t been recorded all that well. This is a technique that can be used in the studio on all kinds of instruments, but also in a live venue when trying to fix overtones that are feeding back. Your ears are king; there’s no one recipe to a great drum sound. 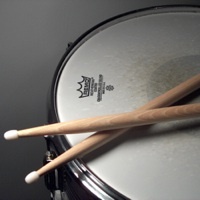 Different drums, mics, mic placements, rooms, and musical styles/mixes play an enormous part in making perfect harmony, so this is presented as one technique that can help shape drums into whatever they need to be for a given song. I use the MOTU Masterworks EQ plug-in, an emulation of classic British console EQ’s (and one of my top two EQ plug-ins, alongside the Universal Audio Neve 1073) in this demonstration, but similar results can be achieved with many other good EQ plug-ins as long as they have freely selectable frequency ranges (as opposed to predetermined frequency notches). If these techniques are helpful to you, please tweet, buffer, G+, or Facebook it on to your friends! Special thanks to my friends at MOTU and Blue Microphones for the Yeti microphone used to make this tutorial.